!! NYC Transit gets federal money for expansion !! According to this article in The New York Times, the long-awaited 2nd Avenue subway line will be built with some help from the federal government. Also, the Long Island Railroad will be connected to Grand Central Station, which will reduce congestion at Penn Station and make a lot of Long Islanders’ commute shorter. Both projects are scheduled to be finished in 2013, which maybe means 2023 in real life. 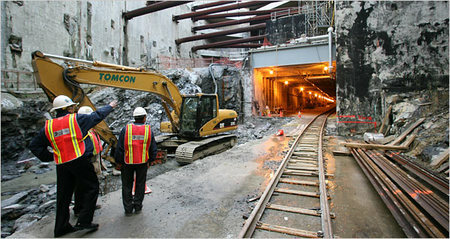 Be the first to comment on "NYC Transit gets federal money for expansion"